After trying plenty of Android keyboards, I finally found one of the best Android keyboards that I think is comfortable to use and is fast. The keyboard name is A.I. Type. What are the advantages? Read more to find out. 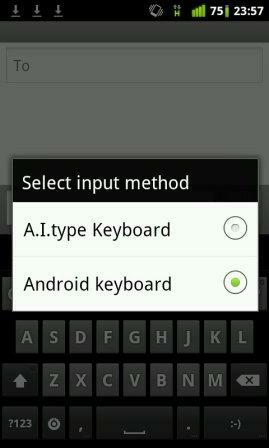 After you successful change your Android keyboard, you can do several things to personalize this keyboard. 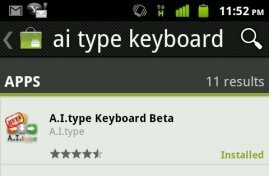 To change the Android keyboard theme, click on “A.I. Type Fun Factory” > click “Keyboard Theme > select the theme you want to use. There are several themes you can choose. 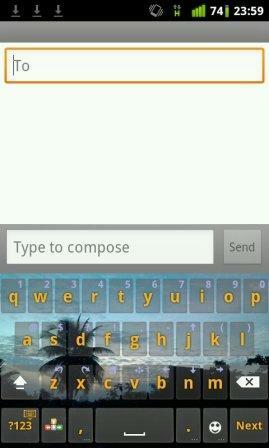 Even, there is an iPhone keyboard themes for Android (see picture below). You can also customize the themes; you can change the Android keyboard font color, the keys color, background color, the height of the keyboard and many more. Word suggestion is a feature to predict the word to be written. For example, when you want to type “companies”, at the time you click the letter “c o m p..” it will show some word suggestion that preceded by “comp..”, such as complete, companies, compliance, compare and compared. You can click the “companies” word from one of the suggested word and the keyboard will auto complete the word and you don’t have to type the rest of the letter (the ..a, n, i, e, s letter). Out of the box, the word suggestion features only support English language. But, the keyboard can auto learn any word that you type. The words that stored in the dictionary will increasing every time you use A.I. type keyboard. To turn on or off this feature, you can click the “red, yellow, green and grey arrow icon” > click A.I, Type keyboard settings > to activate the word suggestion feature; give a check mark on “Show Suggestions”. This keyboard also has Auto Correct feature. 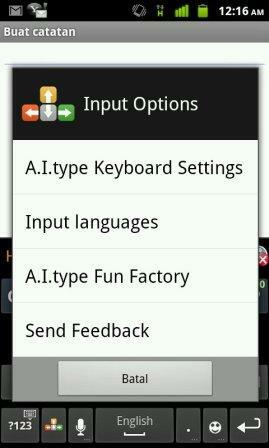 If this feature is activated, the keyboard will fix the word automatically when the user made ​​a typo. In my experience, this feature is only effective when used for typing in English. 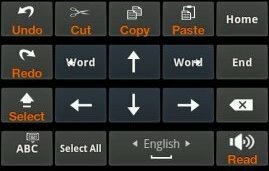 If English is not your native language and you rarely typing in English, I suggest you to turn off this feature. The reason is because when you type non English word, the system thinks its typo and it will predict the wrong word. You can show extra characters, numbers or other functions by pressing and holding the key for about two seconds. For example, if you press and hold the “h” keys, it will display the characters + – = * /. To select a character, you just need to slide your finger at the desired character, and then lift your finger from the screen. 2. Place the cursor in front or behind the text you want to copy or cut. You can use the arrow to navigate. 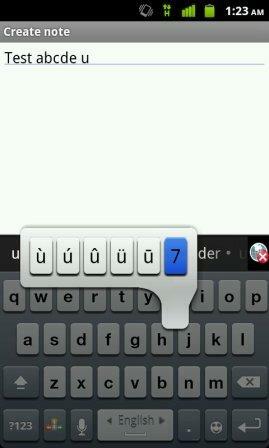 Another advantage of this one of the best Android keyboard is the quick response key. If you experience slow response keyboard or the keyboard can’t keep up with your typing skill, then you can try to install this keyboard.